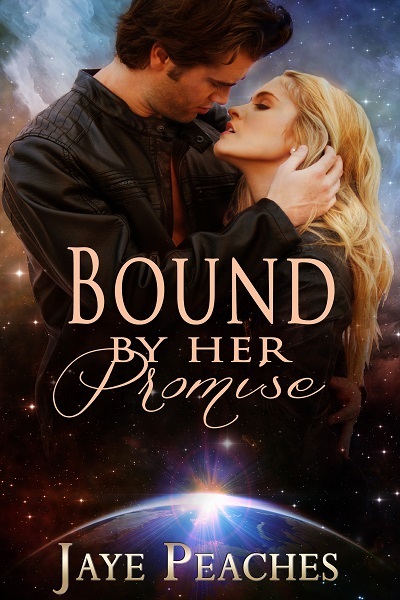 Welcome to Saturday Spankings and a snippet from my latest release Bound by Her Promise, which is dancing around the top of the Erotica Sci-Fi charts on Amazon US. “You’d give me an attitude adjustment,” she muttered under her breath. “Didn’t hear you,” he snapped. “Attitude adjustment,” she piped up, rocking on her toes. She cringed at the memory of what he described to her. “Yes,” she squeaked. So what’s in store for Lysa? Haha, I bet the strap will impact her! She’s about to get ‘impacted’. Great snip! She’s going to find out the meaning of the word! One must not get lackadaisical about spanking. There is a line between spanking for pleasure and giving a good attitude adjustment, and it’s always best not to forget that. Nice job of capturing the moment. It is a line, one that is more determined by mental attitude than the spanking itself. She’s not going to mix them up after this. His tone sets the scene and she knows she’s in trouble! That line is about to be crossed – not so much fun this time, I’m guessing. Neglecting chores, attitude adjustment, the threat of the strap, oh my, she’s in for it. I predict a deeper understanding from her side as a result of a lot of strap activity on her backside! Yummy spanking snippet, well done! Yep, fun spanking can do that!